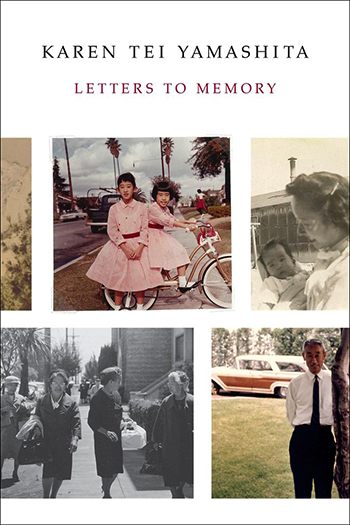 Letters to Memory (Coffeehouse Press) examines her own family’s experience in a Japanese-American internment camp during World War II through letters, stories, photographs, official documents, art, journals, and other personal records found in the family archive. Set in five thematically linked sections titled Poverty, Modernity, Love, Death, and Laughter, Yamashita exposes the cruelty, humiliation, and absurdity that her extended family suffered in the relocation camp. In the process, she ponders the big questions—such as what is the meaning of evil, justice, war, and forgiveness?—and considers the answers suggested in classic works like the Illiad, the Mahabharata, and King Lear. 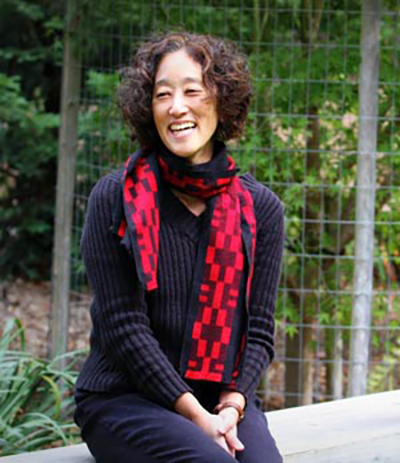 Co-director of the Creative Writing Program at UC Santa Cruz, Yamashita received a 2011 California Book Award in the Fiction category for her novel I Hotel, and was a finalist for the National Book Award. I Hotel also won the American Book Award, the Asian/Pacific American Librarians Association Award, and the Association for Asian American Studies Book Award. Known for her intensely researched works that reflect her interest in communities whose stories often go untold, Yamashita received the Chancellor’s Award for Diversity in 2009 and was co-holder with feminist studies professor Bettina Aptheker of the UC Presidential Chair for Feminist Critical Race and Ethnic Studies. Her other books include Through the Arc of the Rain Forest (1990), which received the American Book Award, and Brazil-Maru, named by the Village Voice as one of the 25 best books of 1992. Yamashita’s February 1 reading for the Living Writing Series will take place at the Humanities Lecture Hall, beginning at 5 p.m. Admission is free and open to the public. Upcoming readings in the winter series will include Duriel E. Harris on February 15, Cecilia Vicuña on February 22, and an undergraduate student reading from the UC Santa Cruz Creative Writing Program on March 15. For more information, visit the Literature Department’s Creative Writing web site.